Efficiently reach every one of your strategic goalsGenMyModel, the online ArchiMate modeling platform. Identify which professions will be involved to answer your strategic goals. Specify the role of your stakeholders for each iteration of evolution of your enterprise. Point out the Business Processes that are concerned or that have to be modeled during an action. 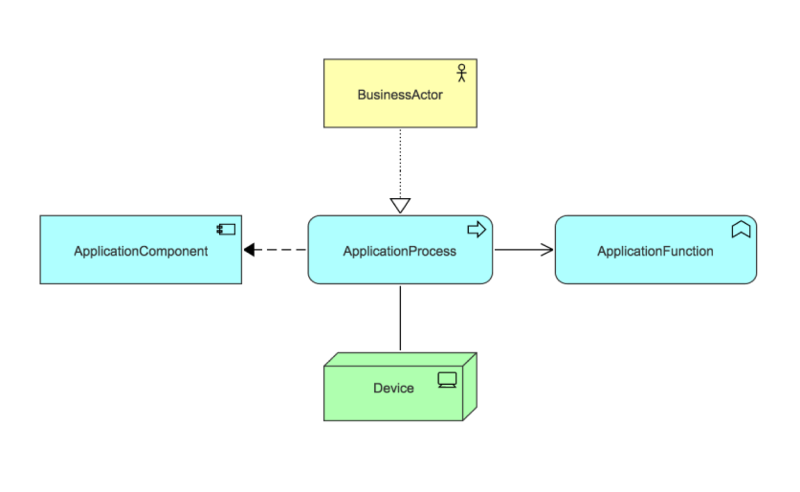 Highlight what Applications actors will need to achieve a specific task. Create plannings based on which Applications will be involved during a strategic move. List the Technical and Technologic exigencies of your Applications. Foresee the impacts your Technology branches can have on your Strategy Layer. No install, no setup and no learning curve to get started!GenMyModel is a powerful enterprise architecture editor to start working directly in the web browser, right away. GenMyModel has an intuitive design which will increase your productivity, so you never lose time when you create diagrams. Each move respects users habits so you can focus on modeling. Organize your ideas in just a few clicks. GenMyModel's support listens to your questions and suggestions; it constantly adapts itself to your needs, that way our tools become more efficient and optimal every day. Thanks to our full web technology, you and your co-workers will be able to collaborate simultaneously on your GenMyModel projects from anywhere. Moreover, GenMyModel allows you to share your diagrams in different formats in order to ease the back-and-forth with your stakeholders. Go further than a drawing. Build complex models effortlessly with our complete tool. GenMyModel is a robust and stable software which will minimize errors and risks. We bring excellence to your ideas to go from vision to solution. ArchiMate is an iterative language. Easily compare your previsional model with your current situation by navigating between every versions of your Business Architecture in your online centralized model repository. Share your projects with your team workers. Edit your database diagrams in real-time. Share your workspace managing the rights of edition. 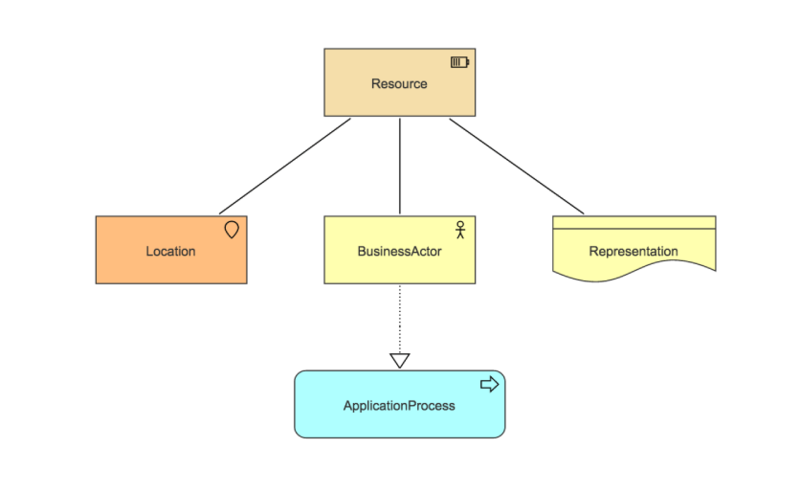 Business Architects can create multiple-view diagrams to have a quick overview of your enterprise. Highlight to your employees the causes and consequences of their missions by crossing the Business Layer with the Application Layer, Technology Layer, that are all made to serve the Strategic Layer. Added to the usual copy/past and undo/redo, GenMyModel proposes multiple shortcuts and inner-tools to create ArchiMate elements in an intuitive mode, as alignment helpers and smart segment placement. Take entire control of your workspace with our overview or tree view. Easily locate any element. Save major and minor versions of your models to identify which ones you want to deliver. Conserve modifications history. Nothing to install, don't worry about plug-in, GenMyModel is full HTML5, and compatible with your OS (Windows, MacOS, Linux). Generate documentation PDFs on entire diagrams and on each element. Export your models in SVG, PNG, JPEG. 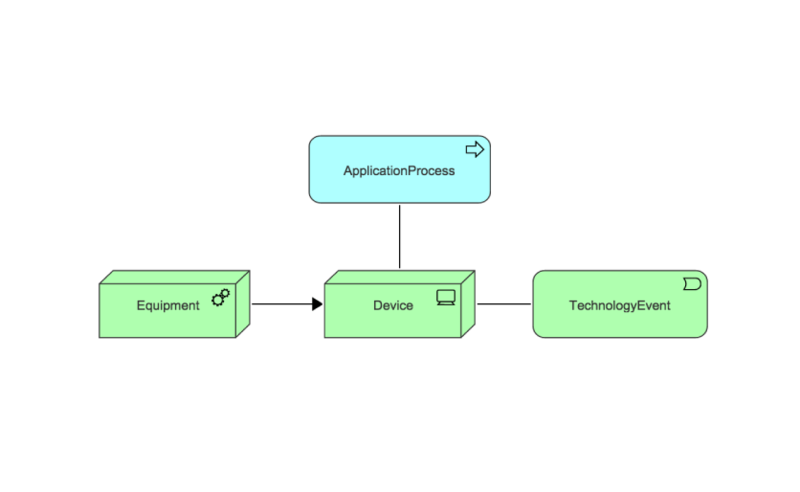 Clarify your business processes with a complete diagramming tool. A smart way to draw your workflow. Copyright © 2013-2019 GenMyModel. All rights reserved. | ArchiMate® is a registered trademark of The Open Group.